Twenty six years have passed since that tragic day. The girl from 1980 went on to graduate from high school, then college, received her PhD degree, had an interesting career, married a wonderful man, traveled the world, etc. An exciting life full of ups and downs packed in twenty six years… And all these years she had her Joe in her thoughts, in her heart. His cherished image was like that light in the end of a tunnel that helped her keep going no matter how hard things could be at times. Her guardian angel was (and is!) always with her! That little girl is me. Now I’m a mother of a precious little boy who shares Mom’s passion for Joe. His songs are my son’s lullabies, they accompany us anywhere we go: on the way to school or to a game of golf or tennis, etc. And every time we take our telescope out to the backyard to look at the night sky, I know that my very special bright star is up there, shining its brilliant light from eternity, illuminating our path. Thank you, my dear Joe, thank you for that light, thank you for the gift of hope and for the dreams that came true! also. But they both live in my heart forever. Tears of sorrow are the ones that roll down my face every once in a while... Have rolled for almost 29 years. 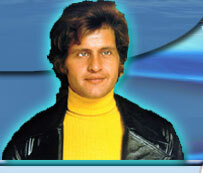 Many family members are gone and I'm sure they have met Joe Dassin in heaven. I've always had this sadness in my heart, having been promised to meet him one day in Paris, but that day never came. Sometimes it seems like life has always taken the wrong turns for me. I learned to love him through his songs, through his wonderful voice; I learned to love the man who was an excellent father, son and friend (I've read all stories about him)... I've missed that man for so long and admire people that say - life goes on... I'm stuck in time!!! Maybe he was my first love? Platonic love? I don't know!!! The only thing I know is that I love Joe Dassin and I say I love him because for me he is still alive - alive in my heart!! !